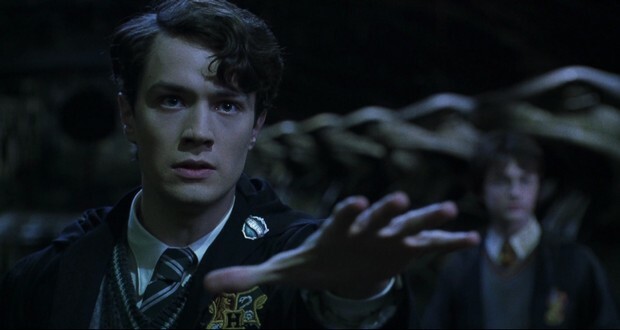 In the Harry Potter series, Tom Riddle has a different name depending on which language the book is in, in order to preserve the anagram in Harry Potter and the Chamber of Secrets. In Spanish, his name became "Tom Sorvolo Ryddle," which translates into "Soy Lord Voldemort." In French, his name is "Tom Elvis Jedusor," which becomes "Je suis Voldemort." In Dutch, his name is "Marten Asmodom Vilijn" which is an anagram for "Mijn naam is Voldemort". In Turkish the name is "Tom Marvoldo Riddle" which makes up "Adim Lord Voldemort". In Brazilian Portuguese the name is "Tom Servolo Riddle" which makes up "Eis Lord Voldemort". In Danish, his name is "Romeo G. Detlev Jr." which makes up "Jeg er Voldemort". In Italian his name is "Tom Orvoloson Riddle", which makes up "Son io Lord Voldemort." 2. The actor (Hero Fiennes-Tiffin) who played 11-year-old Voldemort (also known as Tom Riddle) in "Harry Potter and the Half-Blood Prince" is the nephew of Ralph Fiennes, the actor who played the grown-up Voldemort in the final 5 films. 3. Emma Watson almost wasn't Hermione in the Half-Blood Prince. 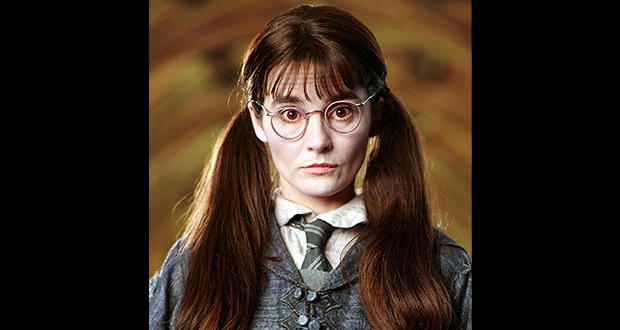 She had considered not returning but decided that she wouldn't be able to watch someone else play Hermione. 4. Novelist Stephen King said that Professor Umbridge from the Harry Potter series is the "greatest make-believe villain to come along since Hannibal Lecter." Harry Potter was born in 1980, making him 38 this year. 7. J. K. Rowling changed her mind about the title of the 4th Harry Potter book twice. 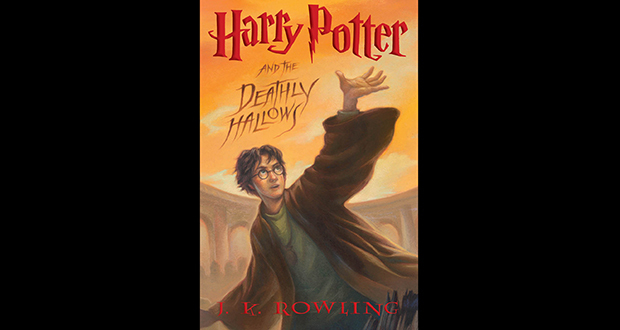 Until 12 days before publication, the already publicized working title was "Harry Potter and the Doomspell Tournament", which turned to "Triwizard Tournament" and then "Goblet of Fire". 8. J.K. Rowling told Alan Rickman the end of Snape's story arc before he ever appeared on camera as Snape in the Harry Potter movies. As a result, he often argued with directors based on knowing something they didn't. 9. James and Oliver Phelps were not actually ginger but dyed their hair red for 10 years while playing Fred and George Weasley in the Harry Potter films. 10. Harry Potter and the Order of the Phoenix, recorded a $167 million loss 'on paper' because of "Hollywood Accounting". Warner Brothers effectively made sure that the movie lost money by paying itself a $212 million "distribution fee" off the top. Author J.K. Rowling wrote the final chapter of the last Harry Potter book in 'something like 1990', seven years before the release of the first book. 12. Harry Potter was the most banned book in the US in 2001 and 2002, for being "anti-family, occult/Satanism, religious viewpoint and violence". 14. In the Harry Potter universe, Professor Umbridge was arrested for hate-crime after the events of the Deathly Hallows. 15. On the weekends after "The Order of the Phoenix" and "The Half-Blood Prince" was published, young people's emergency room visits were reduced by almost half. Jim Dale performed 300 voices for the Harry Potter Audiobooks and had to playback recordings of himself on set to remember each one, each time. 17. Jason Isaacs who played Lucius Malfoy in the Harry Potter films was once caught trying to steal his wand from the set. 18. Matthew Lewis wore a fat suit, fake teeth, and more through most of the Harry Potter films to make Neville Longbottom appear more unattractive. 19. 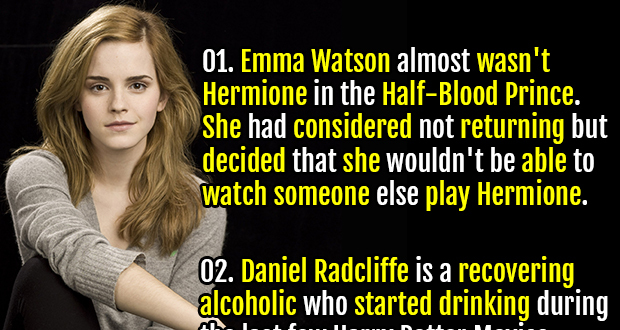 Daniel Radcliffe is a recovering alcoholic who started drinking during the last few Harry Potter Movies. 20. The Dementors in Harry Potter were meant to symbolize J.K. Rowling's depression. 22. 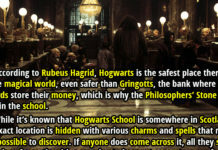 In the Harry Potter universe, Hogwarts is located in Scotland, not England. 23. J.K. Rowling deleted the rules of Quidditch from the original Harry Potter manuscript "because she thought it made it too technical". Her agent made her put them back in. 24. Voldemort was 71 years old when he died in Harry Potter. 25. Harry Potter and the Chamber of Secrets has a brief after credit scene displaying a new book written by a confused Gilderoy Lockhart.